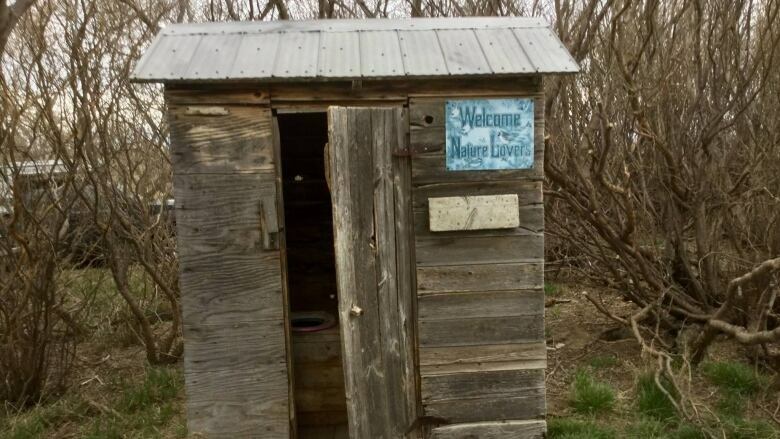 People across this southern pocket of Saskatchewan know about the Carlson Crapper, the famed little outhouse on the prairies — fittingly located on Highway 2. People across this southern pocket of Saskatchewan know about this famed little outhouse on the prairies — fittingly located on Highway 2. But it's not just any slapdash hole in the ground to answer the call of nature. Instead, it's one outfitted with a QR code, a Facebook page, a geocache site and a picnic table outside. "It's a two-holer," says Lorne Carlson, the brains behind the eponymous Carlson Crapper. "It's old; it's probably in the century mark." 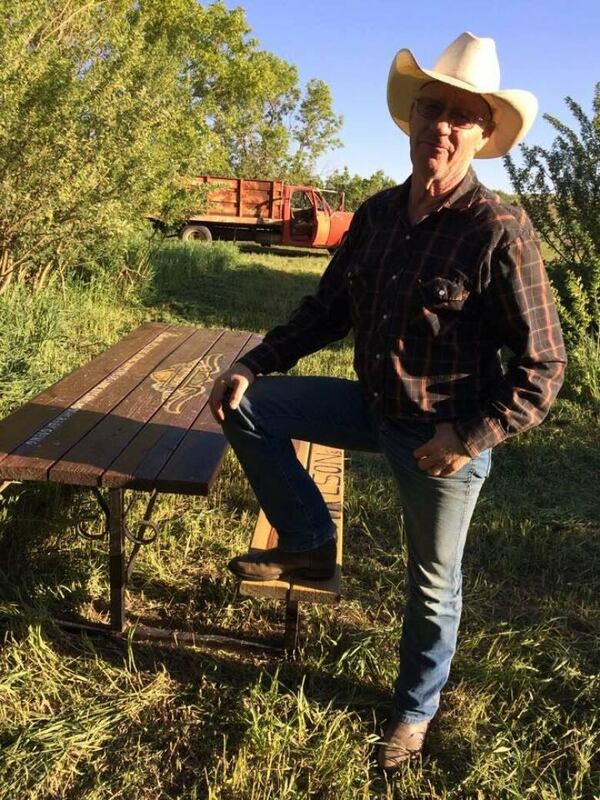 The outhouse near Mossbank — which is approximately 140 kilometres southwest of Regina — is surrounded by a grove of trees on the north side of the highway, a spot that Carlson said ended up getting used for all kinds of, let's say, unusual purposes. He recalls hauling hay on a hot July day in 1988. When he pulled into the yard, he saw a car parked at the spot. "I found a blanket; underneath the blanket there were two lumps. I give the blanket a little nudge, and out came two red faces," he recalled of the sheepish pair. "That was maybe the start of it." Another time, he spotted a man running around the area with his pants down. Carlson went over to ask the man what he was doing, by which point the man had got his pants back up. "He finally fessed up, he lost his sunglasses while doing the call of nature," he recalled. "I wished him luck and left." After a few of these shenanigans, Carlson hauled an extra outhouse out to the site in 1996. And lo and behold, the Carlson Crapper was born. Over the years, others adopted the outhouse. His children and friends helped add a sign, the QR reader and gave the crapper its social media presence. Anonymous others put up the toilet seats, while people come by to mow the lawn and a motorcycle club built and donated the picnic table. Other needs get tended as well, he said. "There's always a mysterious person leaving toilet paper." He knows it's appreciated. Strangers have left him Christmas cards, kielbasa, and even cash in the kitty over the years. 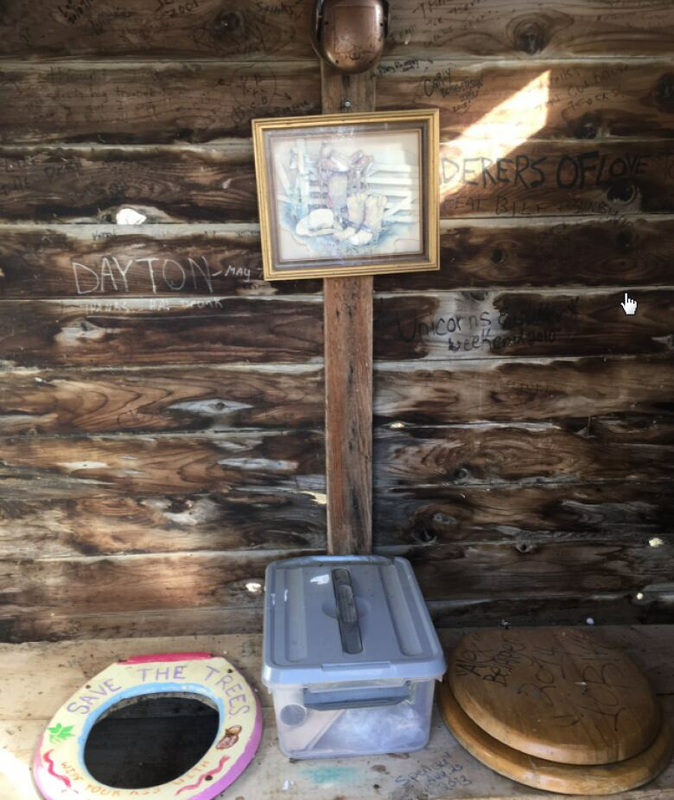 The outhouse takes some maintenance, but it's an act of human service, and as Carlson says — joking, but not joking — also one of self-preservation. "If I happen to be walking across the yard, I don't want to step in human crap."